Welcome To Tropical Garage Doors! In business since 2002, Tropical Garage Doors is a locally owned and operated garage door specialist serving all of Brevard, Indian River and Volusia counties. Striving on being the best in the business with our fast, friendly and professional services...our certified technicians are trained in serving all different brand openers and garage doors! Our goal is to provide you with the best prices and 100% customer satisfaction. 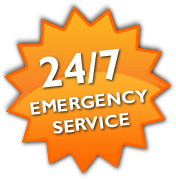 We offer 24/7 garage door service, garage door repair and new garage door sales. We look forward to serving you!